The complex devices all around us — from long-range satellite links in our cars and offices to powerful computers in our hand-held gadgets — prove beyond a doubt that we live in a technology-driven world. In the field of dentistry, new technology is constantly changing the way diseases are diagnosed, routine procedures are performed, and illnesses are prevented. Although they may seem unfamiliar at first, new and improved dental technologies offer plenty of real benefits for patients. Here's a look at some of the latest examples, coming soon to (or now appearing at) a dental office near you. Air Abrasion Technology. Bothered by the noise and vibration of the dental drill? This air-powered device could make that familiar high-pitched whine a thing of the past! Working like a mini-sandblaster for teeth, this hand-held device removes tiny amounts of tooth material with precision control. Anesthesia Wand. If you don't like needles, this may be just what the doctor ordered: a pen-like device that meters out the precise amount of anesthetic you need — and even pre-numbs the insertion site, so you really won't feel a thing! CAD/CAM Same-day Crown Fabrication. Hate to wait? By combining 3-D digital imaging and computer-aided design and manufacturing technology, it's now possible to have permanent crown restorations completed in a single day — much better than leaving the office with temporary crowns and coming back weeks later for permanent ones! Cone Beam CT Imaging. What's better than an x-ray of your teeth? An on-screen, movable 3-D representation of your jaws! By taking a series of x-ray “slices” and stitching the images together with a powerful computer program, Cone Beam CT imaging creates a virtual model of your mouth. It can be used to find disease, plan procedures, and visualize internal structures that formerly wouldn't have been visible without surgery. Dental Implants. Tooth replacement took a giant leap forward with the widespread use of dental implants — today's preferred method of replacing teeth. Dental implants are small titanium posts that replace the root part of your missing tooth. A realistic dental crown is then attached to the implant for a replacement tooth that looks and feels exactly like what nature gave you. Digital Dental Impressions. Remember biting down on a tray of putty-like material, so a model could be made of your teeth? A digital imaging device now makes that unnecessary. Instead, your teeth can be “dusted” with a fine reflective powder, which is then recorded by a special camera. A series of images is converted into a 3-D model, which can be used to assess a tooth's condition or fabricate dental restorations. Digital X-Rays. Diagnostic x-rays have long been invaluable to dentistry. 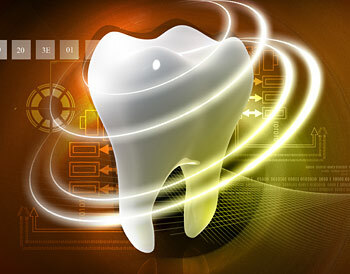 The emergence of digital technology in the past decade, however, has made dental x-rays safer and even more useful. Digital technology cuts radiation exposure to patients by as much as 90% over traditional x-rays. And there are other advantages including the elimination of waiting time for pictures to develop, and sharper images that can be enhanced instantly to show detail. Intra-Oral Camera. A picture is worth… plenty, when it comes to helping you understand your dental examination, diagnosis and treatment! With these tiny cameras, you can see what the dentist sees, on a small chair-side monitor. The images of your teeth can be saved as stills or video — or even printed out — so you can see exactly what's happening in your mouth. Laser Diagnosis and Treatment. They're inside DVD players and scanner wands — and now, they are making their dental debut. Lasers are being used to detect tiny spots of tooth decay, treat gum disease, and remove cancerous cells in the mouth. They are also employed in gum surgery… even cavity treatments!